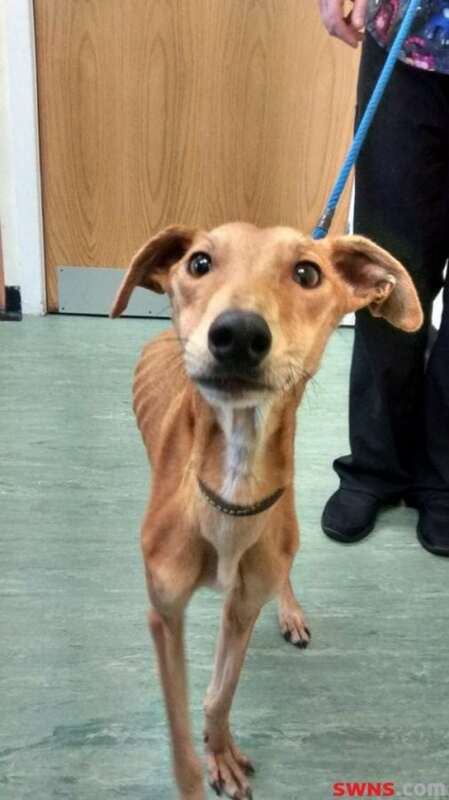 The pictures tell the cruel story of a dog who was left to die, the young lurcher, who was at death’s door, was found by the side of the road. The dog, names Snoopy was a “bag of bones” according to motorists who found the dog barely able to move by a busy road in Maidstone, Kent. They rushed her to a vet, on Feb 16th this year, and due to the great work by the medical staff, she is on the road to recovery and is being looked after by the RSPCA. 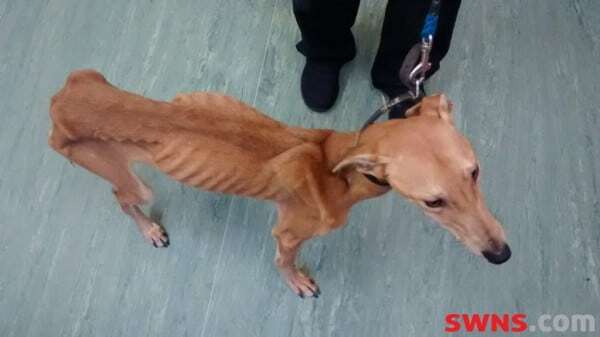 It is thought the two-year-old tan dog, weighing the same as around ten bags of sugar at just 22Ibs, was deliberately starved and kept in a tiny cage as she had injuries to her tail. Rosie Russon, an inspector for the RSPCA, said: “Snoopy was curled up and collapsed in the kerb of the busy street when she was found. “The people who found her said they at first mistook her for a pile of rags, she was so still, and they had to swerve to miss her. “She is extremely thin – almost skin and bones – and weighing just ten kilos rather than the 16 kilos which would have been a healthy weight for her size. 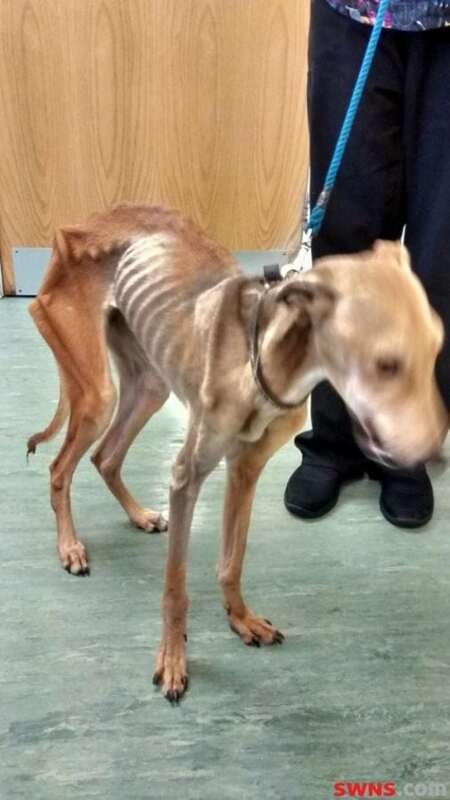 “No medical condition has been found so this emaciation seems to be due to not being fed. “She also had injuries to her tail which are consistent with being caged in an enclosed space. This story comes after we covered the story of a man who stamped on a dog and ESCAPED jail, click here for story.